If you live in Castleford and looking for a high quality wood burning stove then look no further! Castleford is only 0.93 miles (1.5 km) away from the M62 at Junction 32 via the A656 road. It has other A-roads that criss-cross the town and provide access to Junction 31 on the same motorway. This means it has easy access to our showroom in Pudsey, Leeds and is only a short drive away. 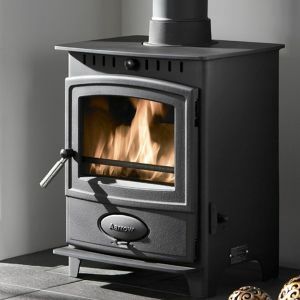 The Leeds Stove Centre are one of the leading suppliers and installers of stoves to the Castleford area. We pride ourselves on supplying the widest choice of multi-fuel and wood burning stoves at the lowest prices possible. Our vast choice of wood burning stoves in various designs and styles, including traditional and modern, means that we have the perfect stove for all types of homes, whether its a cottage or a sleek apartment. We have recently re-developed our showroom in Leeds so you can enjoy live working displays and see examples of the stoves that we have available for you to purchase. To ensure you get the perfect stove, we combine our knowledge and expertise in the stove industry with our fantastic prices to make sure all your requirements are met on any budget. We pride ourselves on quality and that is shown through our comprehensive range of stoves and products, as well as in our service. Our combination of top quality products ( such as Stovax, Dik Guerts, etc) and superb service ensures that we can provide you with an exceptional shopping experience that will certainly meet all of your requirements. At Leeds Stove Centre we are also able to install your new wood burning stove to your home. Choosing a model is only the first step in bringing a stove in to your life, arguably the most important, and costly, step is the installation. Thankfully, we at the Leeds Stove Centre are well versed in stove installation and take every step to ensure that stoves fitted are installed according to the most up to date building regulations by our HETAS registered in-house competent installers. You must ensure that your stove is installed by a recognised competent person who is appropriately qualified in the installation of stoves and that the installation complies with all local, national and European building regulations. Don’t hesitate to call us on 0113 255 5622 to arrange an installation survey for your wood burning stove or for any advice on stoves or installation.